H. Rick Bamman - hbamman@shawmedia.com 10-year-old Kierstin Casey (left) and 8-year-old Kendell Casey anticipate a question from their mom and teacher Erin Casey during the reading of "The Twenty-One Balloons." Casey homeschools her daughters in thier Woodstock home. H. Rick Bamman - hbamman@shawmedia.com Mom and teacher Erin Casey, (right), helps her daughters 10-year-old Kierstin (left) and 8-year-old Kendell while they work on creating a working circuit from a kit. Casey homeschools her daughters in thier Woodstock home. 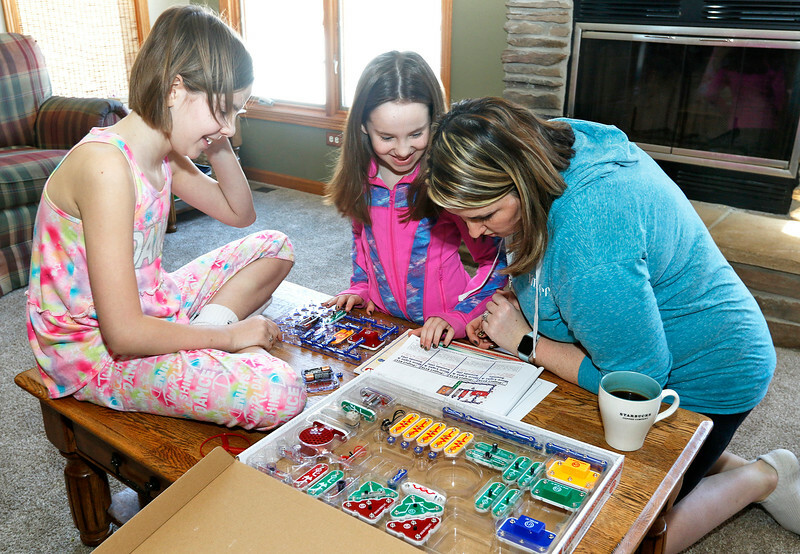 H. Rick Bamman - hbamman@shawmedia.com Mom and teacher Erin Casey double checks the directions for her daughters 10-year-old Kierstin, (left), and 8-year-old Kendell while they work on creating a working circuit from a kit at their home in Woodstock. Kierstin's favorite subject is science, Kendell likes math. 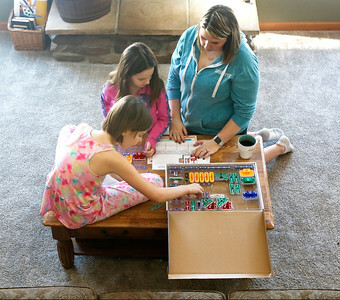 Mom and teacher Erin Casey double checks the directions for her daughters 10-year-old Kierstin, (left), and 8-year-old Kendell while they work on creating a working circuit from a kit at their home in Woodstock. Kierstin's favorite subject is science, Kendell likes math.